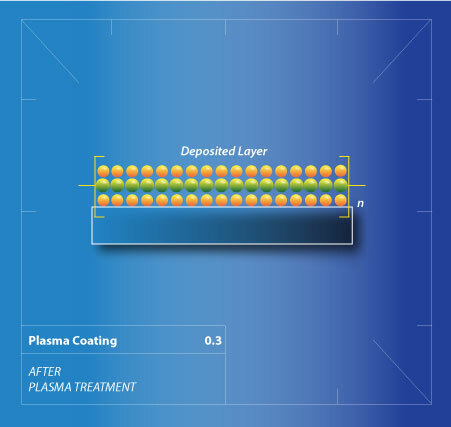 In plasma coatings a nano-scale polymer layer is formed over the entire surface area of an object placed in the plasma. 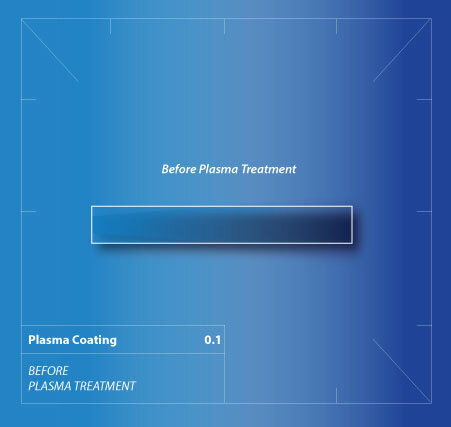 The plasma coating process takes just a few minutes. The coating produced is typically less than 1/100th thickness of a human hair, colourless, odourless and doesn’t effect the look or feel of the material in any way. It is a permanent coating too, being bound to the material surface on an atomic scale. 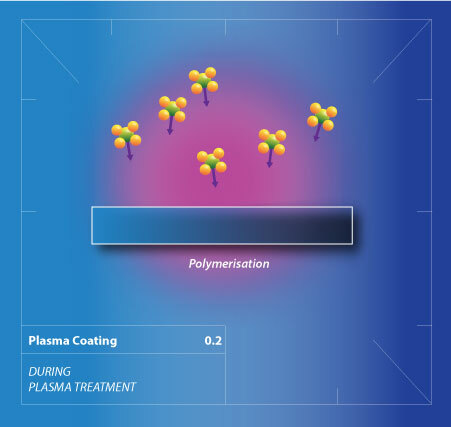 Plasma coatings are one of the most exciting areas of plasma technology, offering enormous potential to enhance a material’s function and value over a wide range of applications. They deliver two main categories of surface property: totally liquid (water & oil) repellent, or totally wettable. Monomers are introduced with the plasma feed gas. Monomers are small molecules which will, under the correct conditions, bond together to form polymers. 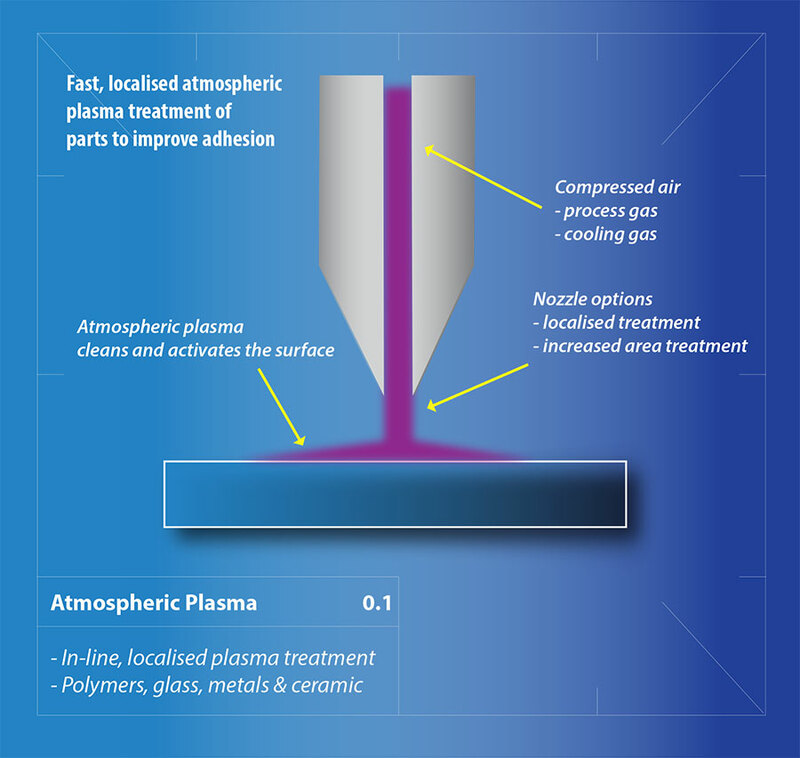 Plasmas create the right conditions at the surface of the material for this to happen both quickly and efficiently. Different monomers are used to produce hydrophobic and hydrophilic surfaces. Specific treatments render surfaces totally repellent to water, solvents and oils. Hydrophilic plasma treatments render surfaces permanently wettable.